Visions of Jesus Christ.com - Cora Evans - Stigmatist. Above photos are of Cora Evans. [See/view] article titled - An alleged American mystic writes of Christ. It also contains image of Cora in mystical ecstasy with stigmata. 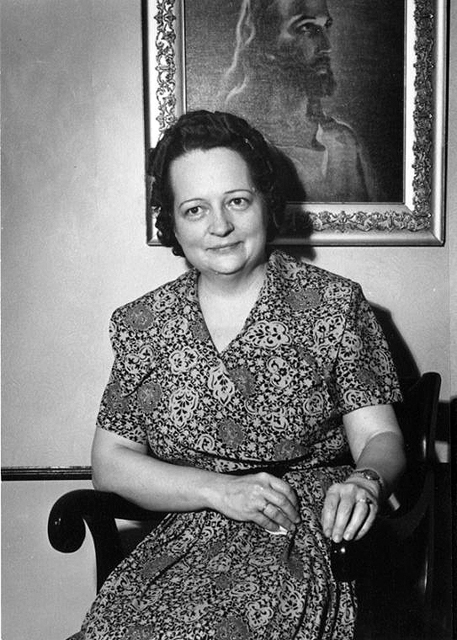 Cora Louise Evans (Born in Midvale, Utah, July 9, 1904 – March 30, 1957) was a former American Mormon wife and mother and a Catholic mystic. She received visions of Jesus and Mary, which she promoted as "The Mystical Humanity of Christ". Her cause for sainthood is being investigated by the Vatican. Cora Evans lived humble life before death in 1957. Her first mystical experience, an apparition of the Blessed Mother, was at the age of three. Many years would pass before she understood the vision. It is the lead story in the autobiography of her mystical life, Captain of the Ship. Daughter's memories - Dorothy Evans remembers her mother as an excellent cook who loved nature and possessed a gift. Throughout her life, she would slip into coma-like conditions where doctors could barely find a pulse. At those moments, she claimed to be with Jesus whom she called "the master" and other saints, sometimes visiting heaven and purgatory. Her daughter added that Cora Evans experienced the stigmata painful marks that resembled the wounds on the crucified body of Christ. "As a child, I would come home from school and say, 'How was the master today?'" added Dorothy Evans, 83, a retired teacher who lives in Spokane, Wash. "I didn't realize that it was unusual." Cora Evans did become known among a circle of Catholic clergy and lay people, and she faced skeptics. "I would hear people say when they came to the house, 'Who is this woman? She must be a kook. Nobody sees these kinds of things,'" Dorothy Evans said. "But isn't that human nature? We want to see it and touch it ourselves in order to believe it." Promoting her message - In 1992, Cora Evans' spiritual adviser, the Rev. Frank Parrish, asked McDevitt, his nephew, to become the custodian of her writings. McDevitt and Huston formed a nonprofit, the Mystical Humanity of Christ, and organized retreats that promote her core message: Christ is in everyone, and people should try to be more like him. In March 2012, the Vatican's Congregation for the Causes of Saints announced that it was considering Evans for sainthood giving her the Servant of God title. Over the next few years, theologians will examine her life. If that research receives the Vatican's approval that she was virtuous, Evans will be considered "Venerable." 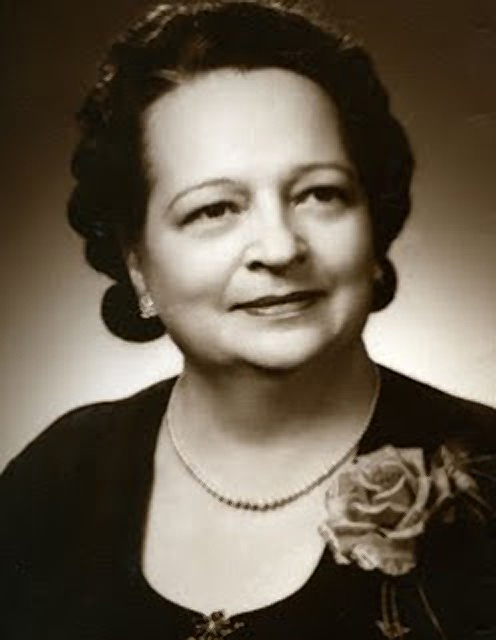 "Cora Evans is a great example of someone who lived an ordinary life, was a good person, and should be imitated by living our lives in a prayerful way, Dorothy Evans said her mother considered her work completed when she finished writing shortly before dying of cancer. Now, the daughter wonders. "I know Mother would have fun doing something for other people," she said if any purported miracles are proved. "But I bet she's glad that she's in heaven now because I don't think she would like all this attention one bit."